Nowadays people, especially women, pay much attention to their weight. People do not want to become obese, so they try to find different ways to lose weight. Most of them think that only diets can help to become slender. I fully disagree with it. I would like to explain my point of view on it. In my opinion, there are a lot of ways to lose weight. First of all, it is a sport. Doing sports regularly has useful effects on human body. It helps to reduce weight and makes people physically fit. Secondly, it is usind diet pills. It is the easiest way to lose weight. Diet pills burn fat and you do not need to eat less or do exercises. Thirdly, it is drinking a lot of water. According to some experts, consuming water can reduce appetite and so have a positive influence on weight. On the other hand, some people say that following diets is the only method to reduce weight, because most people use it. I srongly disagree with this view. Weight loss diets are not the only and the healthiest method. Most girls go on extreme diets and then have serious diseases as anorexia. To sum up there are different points of view on this problem. Despite other people's opinion I still believe that following a diet is not the best way to become slender. There are another ways which are more effective than diets. Сдаю в этом году ЕГЭ по английскому языку, и мне нужна ваша помощь. Некому проверить мои эссе. Можно я буду здесь их опубликовывать для проверки? Ильмира писал(а): Сдаю в этом году ЕГЭ по английскому языку, и мне нужна ваша помощь. Некому проверить мои эссе. Можно я буду здесь их опубликовывать для проверки? P.S. Пожалуйста публикуйте свои работы в правильных темах. То есть, если такого эссе на форуме нет, то создаём тему как в этот раз, а если подобное эссе уже есть, то пишем там. Ильмира писал(а): the only method to reduce weight, because most people use it. Ильмира писал(а): On the other hand, some people say that following diets is the only method to reduce weight, because most people use it. I srongly disagree with this view. Weight loss diets are not the only and the healthiest method. Most girls go on extreme diets and then have serious diseases as anorexia. Абзац 3: контраргумент On the other hand, some people say that following diets is the only method to reduce weight because most people use it. In this case it is not worth risking one's health due to the public opinion. Я добавил одно предложение, т.к. не должно быть абзацев, состоящих из одного предложения. Абзац 4: опровержение контраргумента I srongly disagree with this view. Weight loss diets are not the only and the healthiest method. Most girls go on extreme diets and then have serious diseases as anorexia. Это вводная конструкция, после неё должна стоять запятая. ИТОГ: отличная работа. Хотя и висит на волоске, но 14/14 - максимальный балл! У Вас изначально эссе хорошего уровня, могу посоветовать постепенно отказываться от местоимений I и you в своих работах. Заменяйте на people, he or she, one и т.п. 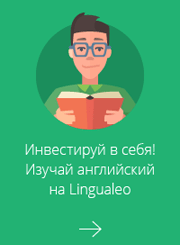 English Guru, спасибо вам большое! Замечания учту. Of course, dieting is the fastest way of losing weight. But, as a result, a person, who follows a diet, spoils his or her health. First of all, it may lead to different mental diseases, for example anorexia and bulimia. Sometimes such diseases are fatal. Secondly, dieting helps to lose some kilos but not fat. Usually, those people, who follow a diet, lose muscles, because their organism does not get enough proteins. I am sure, fat can be burned only by means of sports and healthy eating. Nevertheless, some people believe diets help those people, who do not have time to go to gym or they are too lazy to wake up in the early morning and jog or do some gymnastics. So, they follow a diet and lose weight without any efforts. It makes sense, but in my opinion, there is almost no possibility that their kilos will not be gained again. Most people get their weight back when they stop dieting. Such «coming back» of weight is really dangerous for health. To sum up, I am still convinced dieting is not the best way of losing weight. It is dangerous for physical and mental health, also it is not so effective as doing sports is. Убираем обе запятые....По-моему, я Вам уже скидывал ссылку на запятые.